Each year millions of companion animals enter shelters. Hundreds of thousands are currently in need of homes. Here’s the good news: pet overpopulation has slowed dramatically since the 1970s, when it’s estimated American animal shelters euthanized between 12 and 20 million cats and dogs every year. Compare that to today, when only three to four million animals must be euthanized annually. And here’s another telling fact: in the 1970s there were 67 million pets in American homes, and today there are more than 135 million. In other words, we invite far more animals into our families these days and euthanize far fewer, perhaps suggesting a paradigm shift in how we think about animal stewardship. Still, plenty of pets need adoption. Grasping the size of the issue when talking about numbers so large can be tough: let’s break down the facts and figures about pet homelessness in North America. 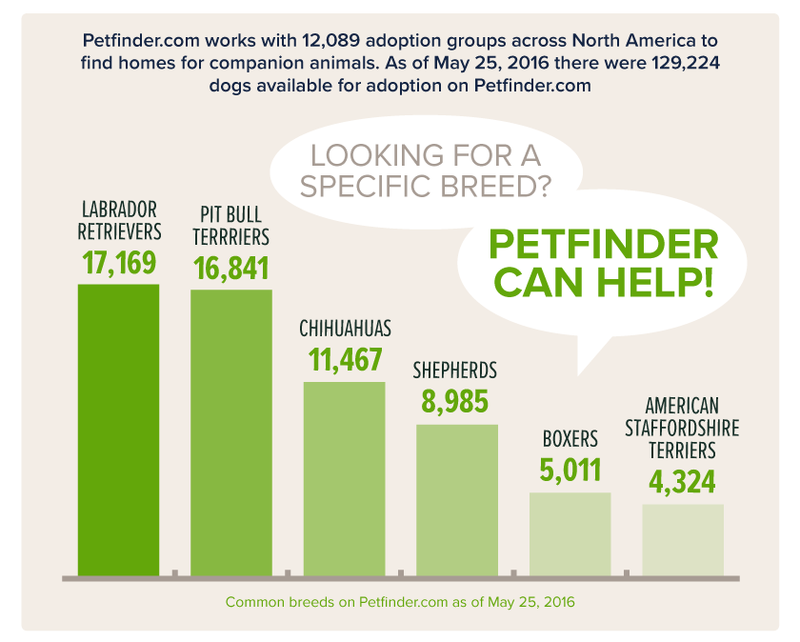 How Many Dogs Enter Shelters in the US Each Year—and How Many Are Returned After Adoption? Of the 7.6 million animals who enter shelters each year, 3.3 million are dogs. Why does a family surrender a pet? The most common reason cited is ‘pet problems,’ according to a survey, accounting for no fewer than 47 percent of dogs rehomed in a year. These problems included dog aggression and other behavior issues, more growth in the animal than the family anticipated, or bigger health problems than a family could handle. So just how bad is the return-to-shelter rate? About one in ten pets adopted from a shelter is no longer in her adoptive home six months later. Figuring out why—and addressing the reasons—is tough, because they are so varied and complex. There’s not a huge difference in return rates between families who did their homework on pet ownership in advance, and those who did not. But one study found that people with uncompromising expectations of dog ownership were most likely to take the family dog back to the shelter instead of working through problems. The expense of dog ownership. Make sure you can afford a dog. 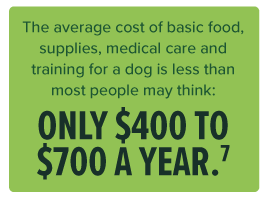 Consider the costs of supplies, food, veterinary expenses (include flea/tick and heartworm preventives), dog training, and then factor in one serious illness for good measure. Allergies. Hit the pause button if someone in your household is allergic to dogs, but know it’s not necessarily a deal breaker: consider a ‘hypoallergenic’ dog breed. And if the allergy is not severe, your doctor can advise you about symptomatic relief. If you’re unsure about allergies in your family, try spending some time with friends who have dogs and watch for allergic reactions. Destructive and Bad Behaviors. Dog training helps: find a class or hire a trainer. And by all means, crate train your new dog. It’s not difficult, and can save you so many headaches down the road. Just like kids, dogs need structure and boundaries and look to you as their ‘pack’ leader to help establish them. Separation Anxiety and/or Nuisance Barking. Plenty of coping strategies exist to help you combat these problems. Read up, and consult a behavior specialist if the problem grows too large to handle alone. Also, research dog breeds ahead of time: some are more prone to anxious behaviors and nuisance barking than others. And be especially sensitive to these proclivities in a dog if you live in an apartment or multi-family dwelling where a barking dog could bother the neighbors. The landlord says no. This one’s easy: check in advance. If your lease says no pets allowed, and you still want a dog, talk to the landlord. He or she might be willing to bypass the rules if you agree to make a special pet deposit. Dog Aggression. This one’s hard. Depending on where you adopted, your new dog’s temperament may have been known and revealed to you ahead of time. Hopefully, you chose a dog who’s sound. But some shelters don’t temperament test, and sometimes aggression triggers may exist in your household, that did not in the foster environment or animal shelter. By all means, separate your aggressive dog from vulnerable family members and friends, but try training before you give up on the dog. Ask your vet. 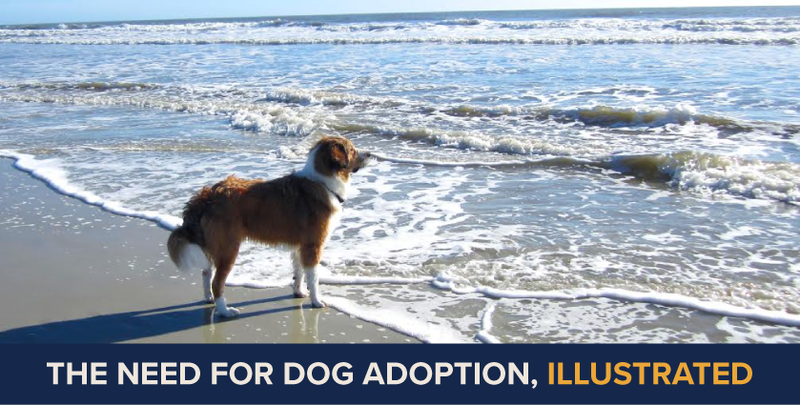 The cost of adopting a dog varies from one outlet to the next. Some organizations levy higher fees for puppies and purebreds. And while a dog rescue can be an excellent portal into pet ownership, be realistic and be prepared for unknowns, including unrevealed behavioral problems or unknown traumas that might have left the dog emotionally or even physically damaged. Often these problems can be overcome with treatment or training, but each comes at a price. So the initial adoption fee—sometimes as inconsequential as a couple hundred dollars, and occasionally even free—is merely the beginning when you take in a complicated dog of unknown provenance. If an adoption fee seems high, look at it through the lens of the rescue or shelter: somebody was paying for your new dog’s food and vet care before you adopted him. He might have required rehabilitation or training before he was worthy of adoption—and the rescue may even have arranged and paid for his neuter surgery. It all adds up. Sticker shock may signal that you’re not truly prepared to welcome a dog into your home. Fun Fact: In 2017, Americans spent an estimated $69.4 billion on their pets, including animal purchases, food, medicine, veterinary care, grooming, boarding, and other supplies, up from $41.2 billion a decade ago. We really love to pamper our pets! What are the most popular dog breeds in shelters? American Pit Bull Terrier – This is an extremely popular dog, but unfortunately often subjected to misuse and abuse. 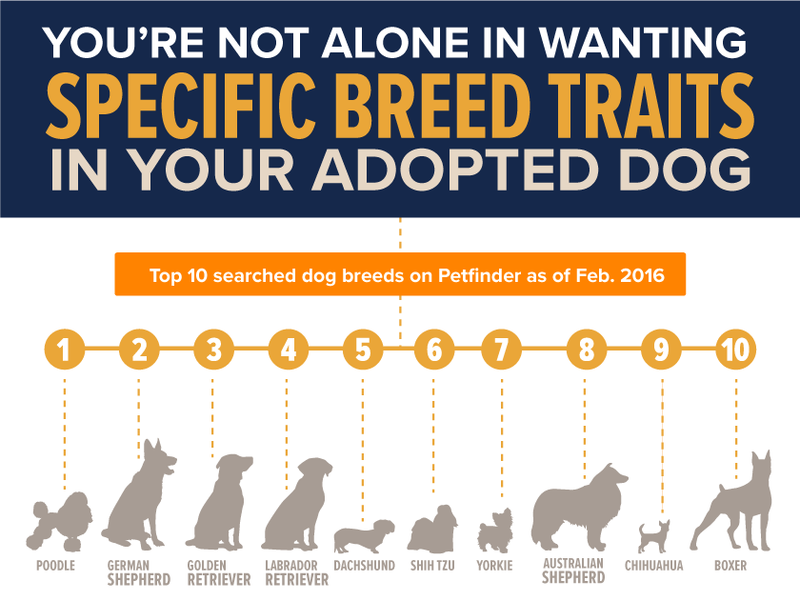 Most are loving—choose judiciously and be aware of breed-specific legislation in your area. Labrador Retriever – Widely popular, affectionate, and energetic dogs, Labs have held the coveted ‘most popular breed in America’ distinction for just over a quarter century, and for good reason. You can expect a Lab to make an excellent family companion. German Shepherd – GSDs are notoriously intelligent, loyal, and protective dogs, but require abundant exercise and training. Know that not all sable-colored dogs are German Shepherds, but some may be designated as such. Dachshund – This diminutive dog is known to snuggle incessantly, but also may attach to a single person in a household. The Dachshund may also snap at children who play too rough. Jack Russell – It’s thought many end up in shelters because the Jack Russell featured in the TV show Frasier popularized this active breed, who is perhaps not the best choice for some families because of her high energy. Chihuahua – Popularized by celebrities, this breed can make a good choice for urban living. Beware of her nervousness and occasional fear aggression, especially towards children. Boxer – Occasionally mistaken for a Pit Bull, this big, muscular dog makes a good family dog and gets along well with children, but requires abundant exercise: be prepared. Beagle – The popularity of this dog has not waned since his introduction as the celebrated character ‘Snoopy’ in the Peanuts cartoons. The Beagle makes a potentially wonderful family pet but needs plenty of exercise and has a proclivity to bay—consider the neighbors. American Bulldog – This is the largest of all the ‘bull’ breeds, tipping the scales between 75 and 125 pounds. Although the American Bulldog is a loving and loyal dog, an adopting family should check for breed-specific legislation. American Staffordshire Terrier – This is a massive, muscular dog bred originally as a farm dog; some can make good family companions who get along well with children. Check an individual’s temperament, and check for breed-specific legislation in your area. Is Pet Adoption Right for You? According to a 2017-18 survey, 68 percent—or 85 million American families—own a pet, up from 56 percent three decades ago. And of these pet owners, some 60.2 million own dogs—with the total number of dogs last year reported at just under 90 million, so plenty of households include multiple dogs as part of the family. If you and your family are considering sharing your home with a dog, consult our Dog Breed Selector to get a better idea of the breeds best suited to your home and lifestyle. Have reasonable expectations of what it means to own a dog—ask questions, be patient, and seek help if you need it. And by all means consider adopting a pet: visit our partners at petfinderfoundation.com to find out how people like you have helped change the lives of homeless pets. Great article! I see footnote numbers throughout the article but see no references. Can you tell me where you got the information? Thanks!